OUR FLEXFIT HATS ARE BEING DISCONTINUED. NO RETURNS ALLOWED. FINAL SALE ON ALL FLEXFIT HATS!!! THIS IS OUR CURVED BILL LOWER PROFILE VERSION WITH AN UNSTRUCTURED CROWN! 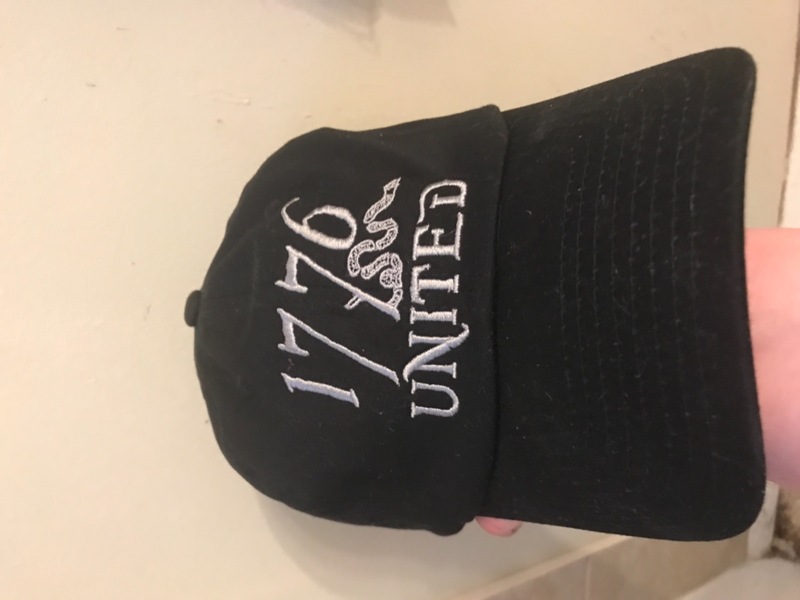 Our Trademark 1776 United® Snake logo embroidered in silver on a black Flexfit. Represent your favorite patriotic brand with this stylish, Flexfit which comes in multiple sizes! Limited Quantities will be available. 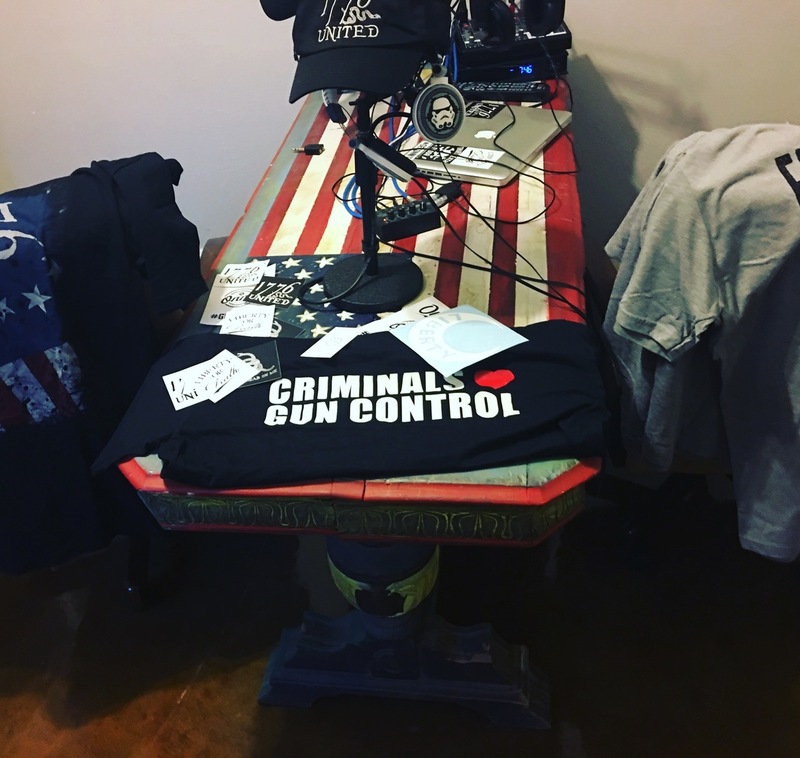 The under side of the bill is a custom, distressed Betsy Ross flag pattern, along with our 76 logo in the 13 Stars on the back. 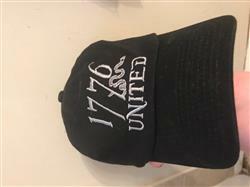 Custom inside cross stitching as well that says 1776 United®. Runs a little large. If in between sizes or borderline, we recommend to order down one size. Make sure to check out our Other Versions Too ! 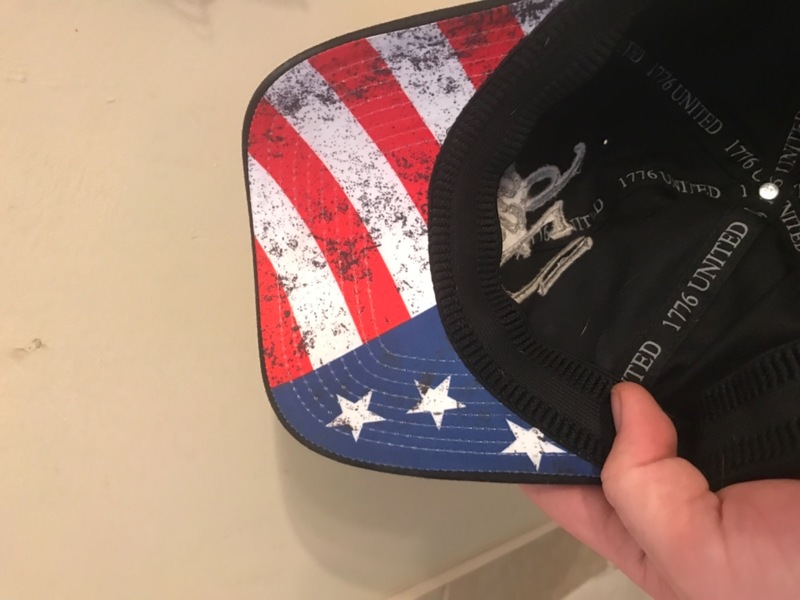 Shipping was fast, and the hat is incredibly comfortable and well made! I’ve been wearing it for a couple weeks now, and it is a great fit. The design is well made, and will hopefully last years to come! I love the look of this and that it is fitted. The hat fit better than expected. I wear a size 8 cover. Figured it would fit like all L/XL. Sits down below top of ears. Plenty of room for my melon. I typically always order a M/L hat but this one was a little too big... It's a very stretchy/flimsy hat. I recommend going a size smaller than what you're use to. 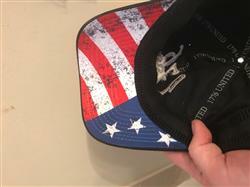 Other than that.... Bad *** 'merica hat!